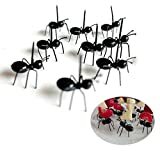 Prevent real ants from stomping off with all the appetizers at your next backyard BBQ or picnic when you stake them down with these cool new Ant Party Picks. 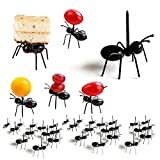 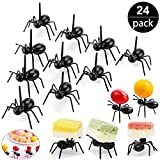 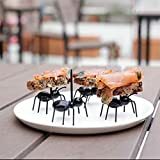 These double-take-inducing food picks look like huge worker ants carrying off all your small fruits, cheeses, meats, olives, breads, and other tasty appetizers on their backs, but thankfully they don't move. 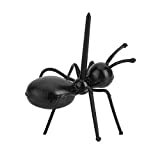 Perfect for adding a whimsical touch to your appetizer platter, inciting a few screams, or both.